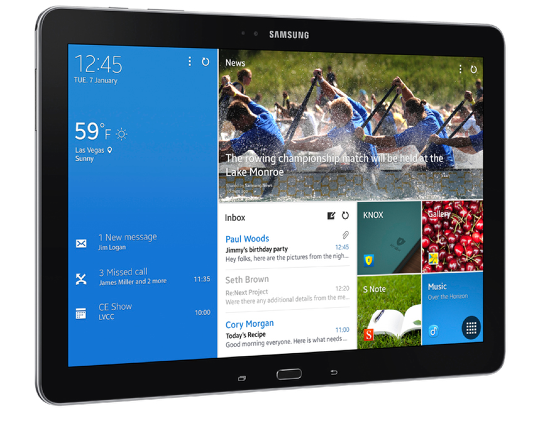 Samsung Electronics Co. Ltd., announces the Samsung Galaxy NotePRO and TabPRO line of tablets, setting a new standard of mobile excellence, equipped with innovative and meaningful technology. 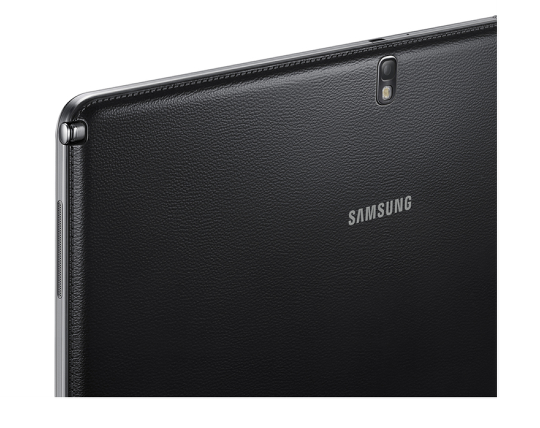 Sporting four powerful devices in the line-up – the Galaxy NotePRO (12.2), TabPRO (12.2, 10.1, 8.4), Samsung’s Galaxy tablet portfolio redefines what a tablet can do. Providing users with an extraordinary display and a matching feature set, the Galaxy NotePRO and TabPRO series bring premium style and powerful performance. Created to satisfy every possible type of user case scenario, the Samsung Galaxy NotePRO and TabPRO combine a crystal-clear, WQXGA display for an optimised viewing experience, powerful productivity tools, unique features with preloaded and free downloadable content, producing a superior mobile solution. The Samsung Galaxy NotePRO and TabPRO present the world’s first 12.2-inch WQXGA Widescreen (16:10) display with 4 megapixel, offering crystal clear resolution (2560×1600) and an ideal platform for content creation and consumption. With a larger viewing area, the defined screen allows users to enjoy stunning Full HD video play and more information at a glance. In addition to its industry-leading display, the device has been designed with a sleek, light, slim frame that is premium and portable. A personalised, large screen optimised Magazine UX allows users to tailor their Galaxy tablet experience for their own needs. The UX enables users to organise their favourite content in an easy-to-use dashboard with automatic feed or news updates and then quickly access the most frequently used apps for a more comfortable reading experience. By utilising a screen size that is more comparable to traditional magazine-sized material, content is easier to view in its original format when reading digital magazines or e-books. The Samsung Galaxy NotePRO and TabPRO (12.2) come equipped with productivity tools to manage both their personal and professional lives. With Multi Window, users will be able to split the screen into as many as four different windows, run an application in multiple windows, and use the enhanced S Pen to drag and drop content from one window to another. An innovative, Virtual Keyboard provides users with enough space to type comfortably, leveraging haptic feedback to produce a more realistic typing experience. The Samsung S Pen included with the Galaxy NotePRO delivers a more responsive, productive and overall efficient tablet experience with access to features such as Action Memo, Scrapbook, Screen Write and S Finder. In addition, Pen Window enables users to simply draw a window of any size on the screen, and instantly access unique in-application features such as YouTube or calculator. Users can easily access and control their home or office PC directly through their Galaxy NotePRO or TabPRO with Remote PC in order to seamlessly edit and save files remotely. The Galaxy NotePRO and TabPRO also come pre-loaded with Cisco WebEx Meetings platform, the industry’s leading web conferencing solution that provides users with an easy way to meet with anyone, anywhere. And now for the first time on Android tablets, users can share anything on their screen as well as starting a WebEx meeting from contact list. Samsung e-Meeting provides collaboration capabilities by giving users the ability to share content during a meeting without having to access a central server or network.